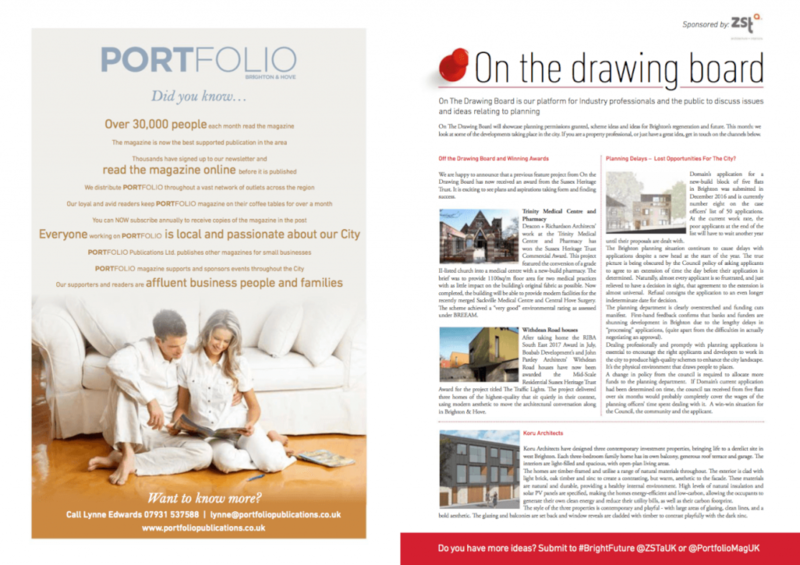 The popular, high-end property magazine Portfolio has this month, included a mini-feature on one of our current projects. The magazine is available in print and also online. You can read a digital version of the article and the whole magazine here. Our feature is on p57.